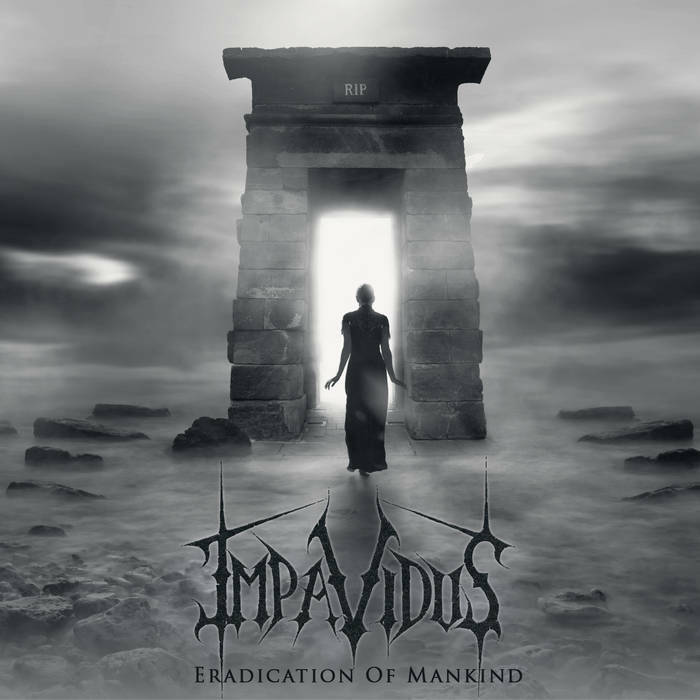 I reviewed Impavidus’s demo recently here on the blog, and they’ve returned with a new four track EP called ‘Eradication of Mankind’. This continues their journey creating some of the more interesting melodeath to come out of this country for a while. It is out on the 29th March via Bandcamp. Gloomy, blasting opener ‘Reprisal’ pulls no punches immediately, with haunting clean vocals twisting around the chunky riffing. The raspy screams of vocalist Michelle Adamson works well with the ragged melodies and chunky groove. There’s a more overt death metal influence on ‘Eradication of Mankind’, but I can’t say I’m overly convinced on the use of the clean vocals on ‘Lies’, which treads the fine line between extremity and commercial metal a bit too closely for me. The fantastic ‘Void’ rescues that for me, with some delightfully galloping melodeath riffing and earworm melodies proving to be a hit, and closing with the almost sultry menace of ‘XII’ really puts a stamp on that Impavidus ‘sound’. They don’t sound like anyone else, and while ‘Eradication of Mankind’ has the odd stumble, the positives far outweigh the negatives.